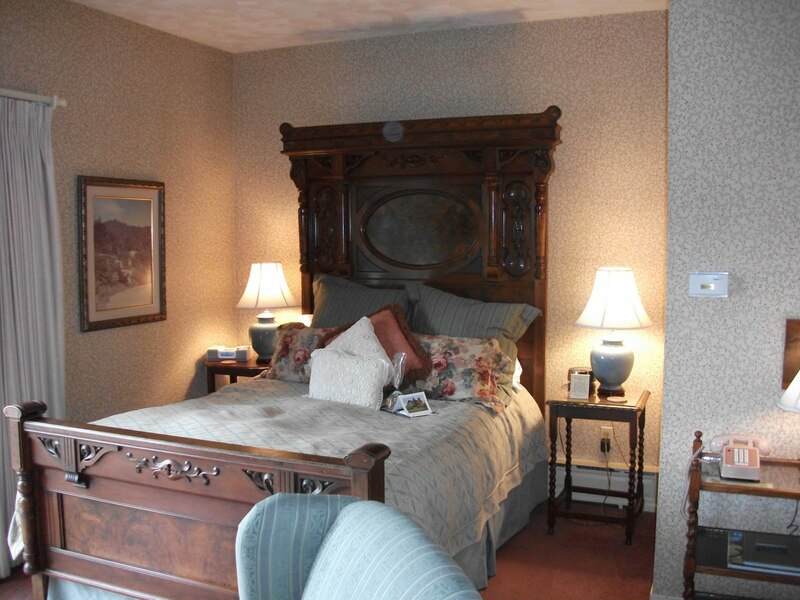 Wine Country Inn in St. Helena was the perfect location with outstanding amenities! 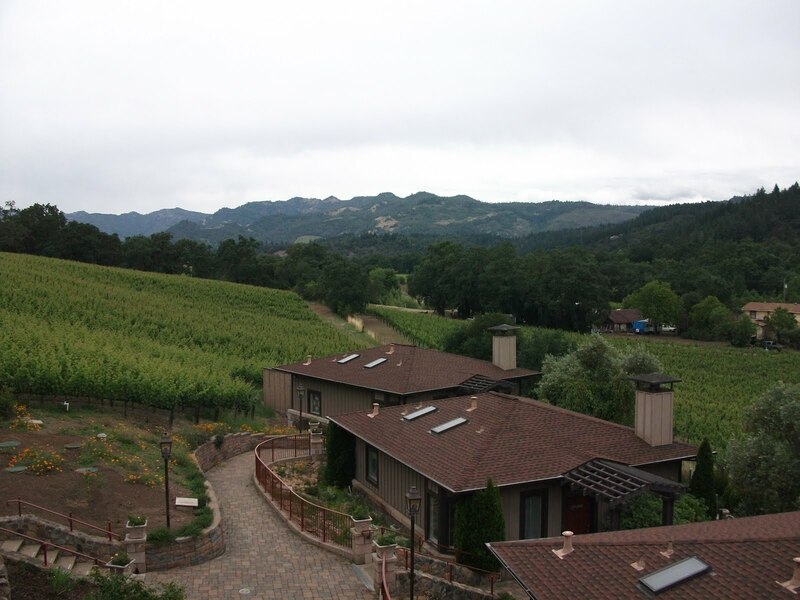 This 29 guest room inn is family owned and operated, built in 1975 to resemble a converted winery and sits atop a beautifully landscaped knoll overlooking a vineyard. We chose a room that had a fireplace and a private balcony with a view of the vineyard and mountains. The decor of the room was a country motif, with a queen sized bed, daybed and sitting area. A personal greeting and cute little bag of granola was waiting for us when we arrived in our room. The view from our balcony was spectacular...although it was not the typical sunny and warm weather for June, I was still in awe of the majestic beauty I witnessed! A leisurely stroll around the grounds was peaceful and picturesque, highlighted by the spa and pool area complete with loungers and tables with umbrellas where you could relax and enjoy the surrounding beauty. As perfect as a picture postcard, was a charming little swing sitting under a huge tree overlooking the vineyard...tranquility, ahhh! A complimentary full breakfast was served every morning in the main building featuring homemade dishes, waffles, pastries, fresh fruit, oatmeal, coffee, tea and juices. Every afternoon the Wine Country Inn invites a representative from a local winery to offer a complimentary wine tasting along with yummy home made appetizers and snacks. Another great amenity of the Wine Country Inn is their free shuttle service to local restaurants in St. Helena and Rutherford from 6pm-11pm...lots of really nice restaurants to choose from, and no worries about enjoying a drink or two with dinner, and driving! If you're looking for an intimate winery tour experience, the Wine Country Inn also offers a convenient and competitively priced "Inn-Cursion" for up to 3 couples in a guided SUV, spending an memorable day of wine tasting, a gourmet lunch and unparalleled scenery. 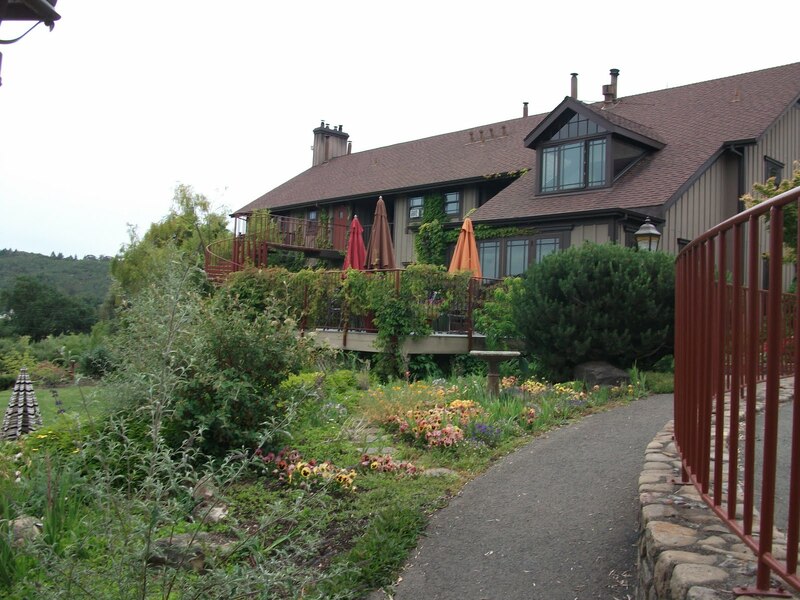 The Wine Country Inn's staff is warm and friendly and the grounds are absolutely stunning. It is very obvious that the innkeeper/owner takes great pride in his property!